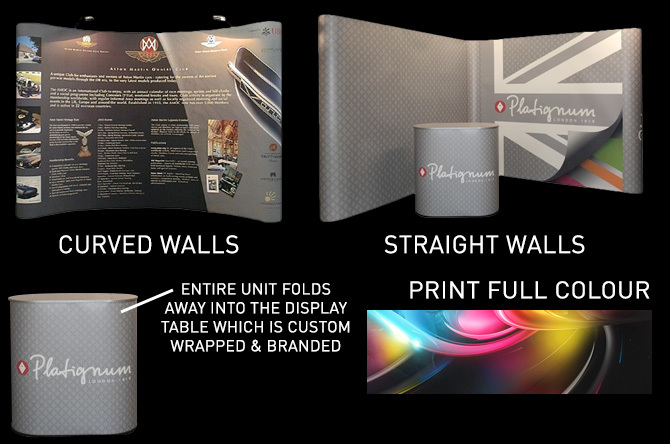 Get Our Pop Up Display Wall Custom Printed With Your Logo! Promotional pop up displays are perfect for event, expo and conference use. They offer huge promotional branding and minimal cost and are available printed in full digital colour. Made to any size and combined with other items such as display tables and pull up banners these pop up displays are certain to get people talking about your brand. Straight and curved panels are available.